Candela Vbeam Perfecta : This laser treatment has been around for nearly 20 years, but it just got better. Because while original Vbeam could treat everything from port wine stains to acne scars, it now does the job without the severe bruising many patients experienced with the old system. As it can seal tiny blood vessels such as thread veins, it can also reduce skin flushing, making it the most effective treatment for rosacea we’ve seen. the device can also zap brown spots, leg veins and unwanted freckles and achieve improvements in scars, acne and stretch marks, too. As with most ‘flicks’ on your skin as the light flashes, but this system isn’t as uncomfortable as some-and there’s only the slightest risk of bruising. Light Heat Energy : While lasers can zap uneven pigment in the skin, some have a tendency to make the problem worse in the long-term. That’s because they emit so much energy so quickly they can cause inflammation, leading to more age spots and the like in the future. This new system allows doctors to target problem areas with just enough energy to zap dark spots, but not so much as to cause damage to surrounding tissue. By combining energy from intense pulse with thermal heat, the system gives doctors more control over temperatures-and means the treatment feels hot but not uncomfortable. It’s also quick-the lower face can be treated in as little as ten minutes. ‘We can treat everything from hair removal to skin laxity with this device,’ says Dr Georges Roman,, the first doctor to offer the new laser in the UK. Our tester felt her neck and jawline looked slighter firmer after her first treatment, but two to three sessions a week or two apart are recommended for best results. Clear+Brilliant : ideal for those aged 25-45, this new treatments fills the gap between lotions and potions and more aggressive (and expensive) laser offerings. The 20-minute procedure works to improve tone, texture and radiance. ‘The laser energy creates millions of microscopic treatment zones in your skin, replacing damaged skin with healthy, younger-looking tissue, resulting in a smoother, more radiant, clearer complexion,’ says top cosmetic doctor Tracy Mountford. She says many of her patients have noticed a difference in just two treatments, though for best results, four to six sessions, one every two weeks, are recommended. ‘Most of my patients are red or pink after treatment, but can wear make-up the following day if any pinkness remains, so the down time is minimal,’ Tracy says. ELase This combines laser and radiofrequency energy to target unwanted hairs more effectively than laser-only systems. The light energy penetrates further down into the skin, so deeper follicles aren’t missed. Plus the addition of radiofrequency energy means the treatment isn’t wholly dependent on light being attracted to the pigment in the hair, as with most other system. That means lighter strands can be zapped more effectively than ever before. 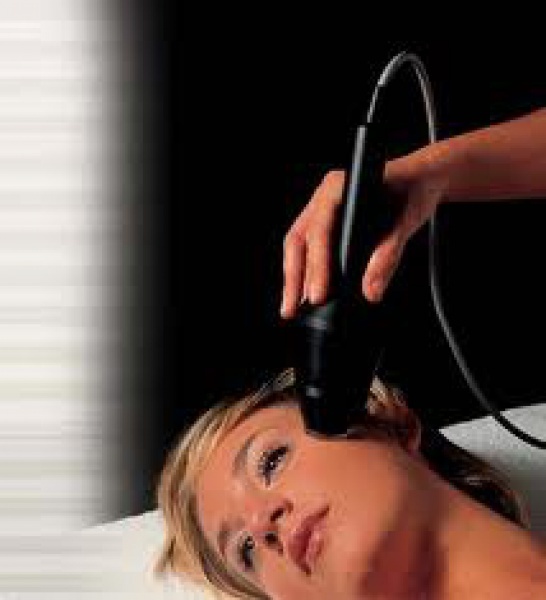 The experience should also be a lot less painful than most other professional laser hair-removal systems. But as with all of them, a course of at least six sessions will be required to get rid of hair permanently. Tria Hair Removal Laser : As with professional hair-removal systems, this cord-free device gives off pulses of laser light. This is absorbed by the dark pigment of the hair, disabling the bulb of the follicle. The ‘bulge’ of the hair shaft is also zapped, destroying the growth cells. Hair gradually falls out and stops growing back. Use it once every two weeks and it will take six months to permanently rid yourself of unwanted fuzz. But it’s safe, easy and painless-our tester barely felt the heat on her skin, though you might feel a ‘flick’ when the device is on the highest setting. Philips ReAura Laser Skin Rejuvenation : Billed as the most advanced at-home anti-ageing gadget yet, this has similar technology to the professional Fraxel laser and targets everything from fine lines to age spots. The heat can feel sharp, plus it can leave you looking very red for a few hours, but clinical trials saw 83 per cent of users with more even skin tone after three months of using it twice a week ,though results ill vary depending on your age and skin type, so not everyone will find it worthwhile. You will be given a consultation before you buy to assess your skin’s suitability. Oxy Clearlight : Dermatologists have used blue light therapy for years to kill off the bacteria that causes acne and other spots. This little gadget means you can now harness the clinically proven benefits in the comfort of your own home – at an affordable price. The blue light on this device penetrates deep enough to kill spot-causing bacteria. Simply switch it on and hold it on the problem area for the automatic three-minute treatment cycle. Use twice a day until your spot goes. Tip : If you’re thinking of having any kind of light treatment, always insist on a patch test beforehand.